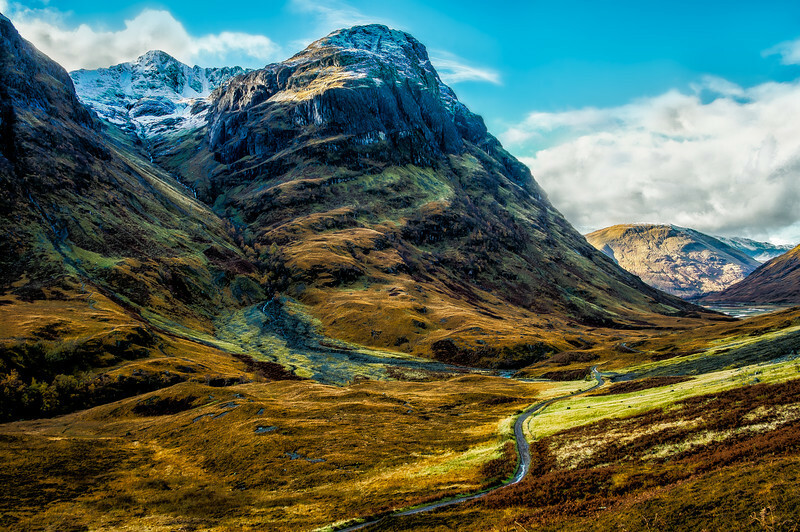 The Scottish Highlands, roll on for miles with hills carpeted in velvet. Majestic and mystical splendor where mountain tops greet the sky. Fabulous landscape, love the use of HDR really effective. Lovely composition. Incredible mix of colors. Great shot! Beautiful scene and beautiful colors. Like the way you framed this! very impressive. I love it!